These are alternative publications that are part of the Prime Time Newspapers, a Division of Hearst Corporation. These free publications are distributed in the San Antonio MSA. The Maritime Executive is written for executives and managers at every level of the industry. The Maritime Executive is the world's leading maritime business journal. Each issue of The Maritime Executive benchmarks organizational excellence along with executive interviews and featured articles concerning critical issues impacting the maritime industry. The Palm Coast Observer is dedicated to serving as the leading and most trusted source of local news and information for Palm Coast and Flagler County. Each edition of the Palm Coast Observer delivers the area's most relevant and most comprehensive news, information and features affecting Palm Coast residents, their neighborhoods and the community at large. A Digital-Only publication is defined as a publication with no print version. The Digital-Only publication must be delivered periodically in a digital format that is metered (i.e., linear). The Digital-Only publication must provide pagination or any other method to show that the reader is going through the issue from beginning to end. A Digital-Only publication is not a website. It can either be paid or requested. A digital magazine may include enhancements for the digital medium such as hotlinks, audio and Flash. All guidelines regarding paid and requested digital magazines must be met to qualify as Digital-Only except that it does not have to be a replica of a print edition. For the audit, the publication must provide proof of production, distribution, payment/request and demographic data. If subscribers do not provide a physical address (email only), a geographic analysis cannot be included in the audit report. Digital-Only Audit Reports may include key metrics for advertising, including page impressions, unique browsers, user sessions, unique browser frequency, user session duration, page duration and an executive summary. For questions about Digital-Only publication audits, contact Verified at 415-461-6006. Top magazine executives express bullishness about the industry's digital opportunities at the recent American Magazine Conference, but they made it clear that they feel the traditional printed page has a lot of runway left. Much of the digital optimism conveyed, of course, is rooted in new real estate offered courtesy of tablets. 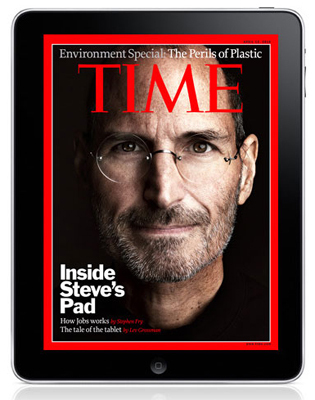 Time Inc.'s CMO, Stephanie George, the chair of the event, began an opening address by reiterating the publisher's plans to have versions of all 21 of its U.S. magazines in tablet form by the end of the year. People, Time, Sports Illustrated and Fortune are already up and running, so there are 17 more to go. As part of a campaign backing its initiative, Time Inc. purchased a billboard in Times Square carrying the message "All Titles on Tablets by January 1." George said the company is satisfied with results from the four tablet versions so far "in terms of downloads, single copy sales and subscription authentications." While the iPad is or could be a boon, magazine executives are enthused by growth potential from Amazon's newly released Kindle Fire tablet, which costs less than the Apple flagship. Hearst last week said it has passed the 300,000 mark in paid digital circulation on multiple devices, and company president David Carey cited the new Kindle as an "absolutely critical" contributor, and he "think(s) that number will double in short order." Joining Carey was Conde Nast President Bob Sauerberg, who said that digital distribution is bringing in new customers, including younger ones. "We think ultimately that it will be the key asset that will allow us to revalue the consumer proposition at Conde Nast," he said. He added that there are a slew of pricing opportunities in the digital realm not available in the traditional world. For example, raising a newsstand price can be disruptive, but setting and altering prices for monthly subscriptions or pay-per-click is far more "malleable." 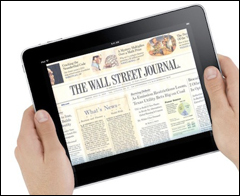 Hearst's Carey prefers a dual revenue stream with subscriptions and advertising on a tablet. On the ad front, he said ads designed specifically for the platform can be particularly effective, while noting that some data shows engagement and time spent on tablets can top magazines, which could benefit advertisers. Conde Nast has a digital studio working on developing advertising applications, Sauerberg said. A third panelist, Tom Harty, president of Meredith's national media group, said his company has invested heavily in tablet initiatives, but many of its readers are on a modest income and aren't rushing out to buy iPads, so it may not be a pacesetter in the space. The cheaper Kindle could provide a lift, and content on Barnes & Nobles' Nook has been a successful gambit. Still, executives have not given up on finding new ways to invigorate the long-held businesses. At Meredith, the company is offering advertisers performance guarantees. The initiative grew out of a test conducted in partnership with Nielsen Homescan, where a panel of 100,000 consumers included a subset of 12,000 Meredith subscribers. The test showed that ads in Meredith publications for 14 brands led to a sales lift and resulted in positive ROI, prompting Meredith to take some risk with altered guarantees. Harty said Meredith could have kept the data to itself but instead worked with Nielsen to share it with the industry as a high-tide-lifts-all-boats dynamic, and Time Inc. has also embraced it. Time Inc.'s George said magazines have an advantage in a world with so many media options – perhaps hinting at the proliferation of online aggregation sites – in that the content "refuses to be commoditized as some other content is, because it has a voice." That ostensible uniqueness makes "people want to participate in our brands," which has been changing some of the sales tactics at publishers, George noted. Ad pages are just a sliver of what can be offered to a marketer, joining digital extensions and experiential marketing avenues such as linking with an Essence Music Festival. According to the Return Path report, "Global Email Deliverability Benchmark Report, 1H 2011," only 81% of all permissioned email from commercial email senders makes it to the inbox. Globally, one out of every five emails is not delivered to the intended recipient, with 7% landing either in a spam or junk folder and 12% simply missing. Senders continue to believe that whatever gets sent and doesn't bounce must be reaching the inbox. This isn't the case. 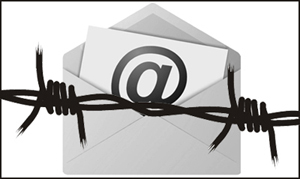 Senders are only notified when their email is a hard bounce, not if it's been placed in a junk or spam folder. The rate senders must understand is their inbox placement rate, the number of emails that actually arrive in the inbox. North American deliverability is globally the highest with 86% of emails making it to the intended recipient. In comparison, Europe lags behind at 83.5%. Canada has a high rate of email that goes missing at 12.2% but only 2.56% is delivered to the spam or junk folder. The United States has a more equal balance of email that goes missing at 5.9% and email delivered to the junk or spam folder at 7.56%, says the report. In Europe, for the first half of 2011, approximately one in six legitimate emails, or 16.5%, never reached the subscriber inbox. Additionally, more than one in ten commercial emails, or 10.4%, go missing, blocked by ISPs before reaching their intended recipient. In Central and Latin America, 62%, or the equivalent of only 6 out of every 10 emails make it to the inbox. Of the remaining 38% of emails, 21% are rejected at the ISP-level and 17% are put in the junk or spam folders. This is particularly problematic in Brazil. With a full 25% of all permissioned email being delivered to the spam or junk folders, and one out of every 10 emails, or 11%, going missing, only 64% of all email gets delivered to Brazilian inboxes. With more than 1 in 5 emails, or 78%, never making it to the inbox across Asia Pacific, Australia posts a strong inbox placement rate of 89%, with only 6% going missing and 5% being sent to the junk or spam folders. The email delivery situation in China doesn't meet the benchmark for the rest of the APAC region with only 58% of permissioned email sent actually reaching the recipient. Largely, 39% of email is missing due to being blocked at the ISP level and only 3% is delivered to the spam or junk folders. Reaching business addresses continues to be difficult, as inboxes are protected by systems like Postini, Symantec and MessageLabs. Only 80% of email is delivered to the inbox through these enterprise systems. While this is a 5% improvement from 2009 when just 75.2% made it to the inbox, the multiple company-level filtering methods used for business addresses mean that deliverability is still a major concern. Matt Blumberg, CEO of Return Path, concludes that "... what marketers don't know about their deliverability leaves their business vulnerable and decreases... revenue (generated) from their email channel... relevant deliverability data... is crucial... "
For additional information from Return Path, please visit here, or go to sign up for the PDF file here. 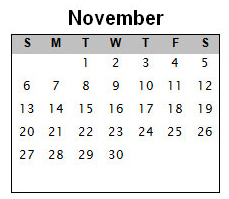 Deadline for international applicants: 11:59 p.m., December 1, 2011, Pacific Standard Time. Deadline for U.S. applicants: 11:59 p.m., February 1, 2012, Pacific Standard Time. In addition to audit reports and top-line circulation figures, Verified provides clients and associate members access to both the Complete Masthead Listing and ZIP Code Listing reports on our website. The Complete Masthead Listing report provides a list of the individual mastheads audited by Verified as well as publisher contact information and three-, six- and twelve-month top-line circulation figures. It provides media buyers with a quick snapshot of your publication to analyze for a media buy. The Complete ZIP Code Listing report provides geographic information media buyers need to make smart media buys. Individual ZIP Codes and the number of copies distributed in each are listed for every masthead audited by Verified. The reports can be accessed in the Members area of Verified's website. The reports are password protected and can be downloaded in Excel format for easy analysis. If you have a question about the Complete Masthead and Complete ZIP Code Listing reports, please contact Verified at 415-461-6006.